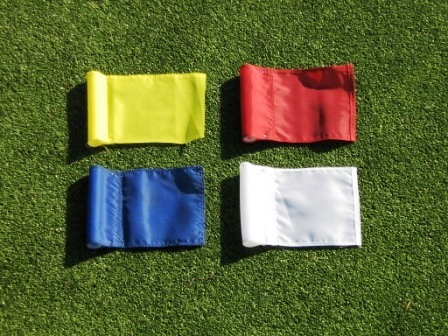 Solid Jr Flags 4 Colors Available. Sensitive to even gentle breezes, giving golfers a better determination of wind direction. 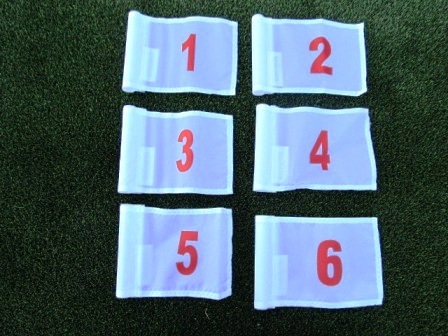 White Numbered Jr Flags Perfect for smaller greens with up to 6 cup holes. Sensitive to even gentle breezes, giving golfers a better determination of wind direction. 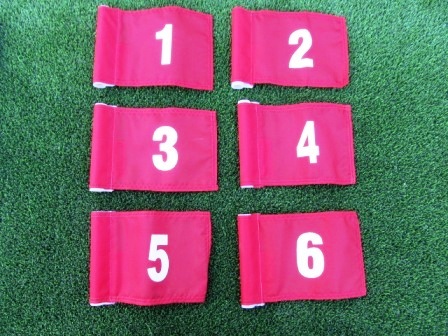 Red Numbered Jr Flags Perfect for smaller greens with up to 5 cup holes. Sensitive to even gentle breezes, giving golfers a better determination of wind direction.